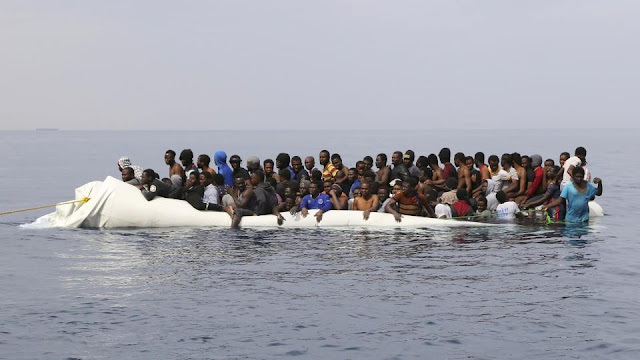 A ship full of asylum-seekers heading for Europe has capsized off the Libyan coast, leaving at least eight people dead and almost 90 others missing. Eight bodies were found and 35 migrants rescued on Tuesday and Wednesday, Seddik al-Jayach, an official in Zuwara, told AFP on Thursday. Survivors had clung onto the sinking vessel for five days before it ran aground on the Libyan coast, he said. Survivors had told Jayach that the sunken ship had been carrying between 120 and 130 asylum-seekers, including women and children, from different African countries. The Libyan navy said the shipwreck occurred off the coast of Sabratha, a town west of Tripoli that is a hub for asylum-seekers heading for Europe and from where the vessel had set off.